Tucked away in the Menzies Arcade at the rear of the Menzies Hotel is Caffe Capri. It is indeed an oasis in the hustle and bustle of the City. Their host Franco hails from Capri which is a jewel in the Mediterranean. The food is light and fresh. Pasta and risotto are their specialty. The salads are nutritious and their lunches are the best in town. 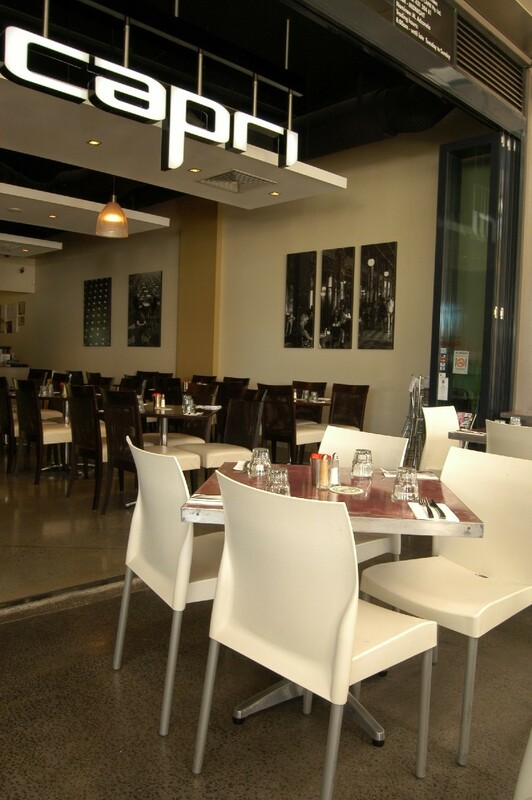 So drop in for breakfast or lunch and enjoy the atmosphere at the Isle of Capri with fast and friendly service.